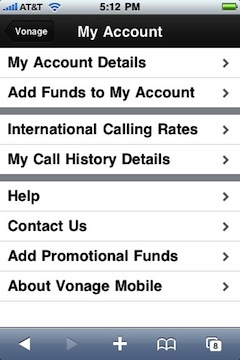 VoIP provider Vonage today announced the launch of Vonage Mobile, offering low-cost international calling for the iPhone [App Store, Free], iPod touch [App Store, Free], and BlackBerry. The iPhone application permits calls to be made via Wi-Fi or cellular connection, while the iPod touch application is obviously limited to Wi-Fi calling only. 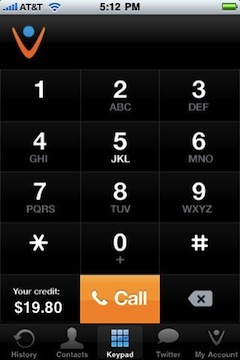 iPhone users calling international numbers via the Vonage Mobile application on a cellular network are automatically connected to Vonage's network and utilize only domestic airtime minutes on their carrier while paying Vonage's international rates for the calls from a prepaid, automatically refillable account.